Join me for the Women Who Submit Lit Reading 8/11! This Saturday afternoon at 4 pm, I’ll be reading at the first ever Women Who Submit Lit Reading! 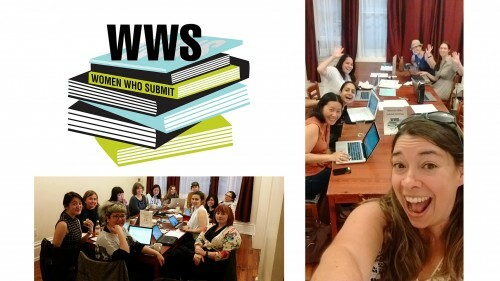 What is Women Who Submit Lit (WWS)? Founded in 2011, WWS seeks to empower women writers by creating physical and virtual spaces for sharing information, supporting and encouraging literary submissions, and clarifying the submission and publication process. 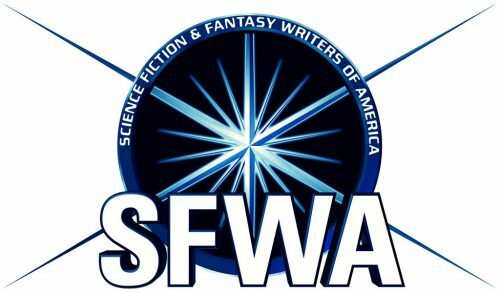 I helm one chapter of WWS in the Bay Area and primarily organize submission parties, where we get together and encourage each other to submit our work out for publication. Dominica Phetteplace, who passed that duty on to me last year, decided it would be fun to have a reading for our chapter and thus, this reading was born! When: Saturday, August 11, 4 pm. Who: Me, Dominica, Jennifer Ng, MK Chavez, and Simmi Aujli! Bios below.We’re all regular members of this WWS chapter, except MK, who’s starting her own chapter in Fruitvale very soon. Come for more details on that. Becca Gomez Farrell‘s debut epic fantasy novel, Wings Unseen, was published in August 2017 by Meerkat Press. Her speculative short fiction can be read in Beneath Ceaseless Skies, the Future Fire, and Dark Luminous Wings. Becca also blogs about food, drink, and travel at theGourmez.com. Jennifer Ng is a writer in San Francisco. She recently published a nonfiction book, Ice Cream Travel Guide, and is working on a novel based on her grandparents’ lives in China, Peru, and the United States. Her work has appeared in Arkana, Havik, Cold Creek Review, Shut Up and Write! Zine, and Airplane Reading. In her writing, she explores identity and relationships. If she was asked about her favorite hobby at the age of 8, she would have answered “observing”, which is still a joy and an inspiration for storytelling. Read more at jennism.com or follow her on twitter: @jennism. Simmi Aujla is an Indian-American speculative fiction writer based in the Bay Area. She is an alum of the VONA / Voices of Our Nation workshop, where she studied genre fiction. A 2018 fellow at the San Francisco Writers’ Grotto, in the fall she will attend an interdisciplinary arts residency at Marble House Project. Simmi is a Brown alum and former journalist, with experience at Politico, the Wall Street Journal, and the Associated Press. Keep up with her at www.simmiaujla.com. Oakland based Latinx writer Mk Chavez is the author of Mothermorphosis and Dear Animal, (Nomadic Press.) She is a recipient of a 2017 Pen Oakland Josephine Miles Award and her poem The New Whitehouse, Finding Myself Among the Ruins was selected by Eileen Myles for the Cosmonauts Avenue 2017 Poetry Award. She is a co-founder/curator of the reading series Lyrics & Dirges and co-director of the Berkeley Poetry Festival, a fellow with CantoMundo, a writer in residence at Alley Cat Books, and this fall she will be the guest curator of the reading series at UC Berkeley Art Museum and Pacific Film Archive. Dominica Phetteplace is a math tutor who writes literary and science fiction. Her work has appeared in Analog, Asimov’s, Clarkesworld and F&SF. She has won a Pushcart Prize, a Rona Jaffe Award, a Barbara Deming Award and fellowships from the MacDowell Colony, I-Park, and Marble House Project. ← R-Dub Love Rolling Writers Reading 7/28!